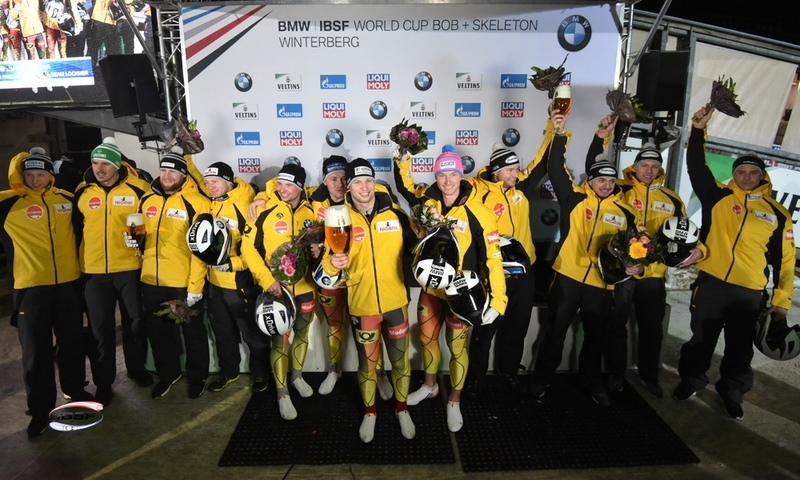 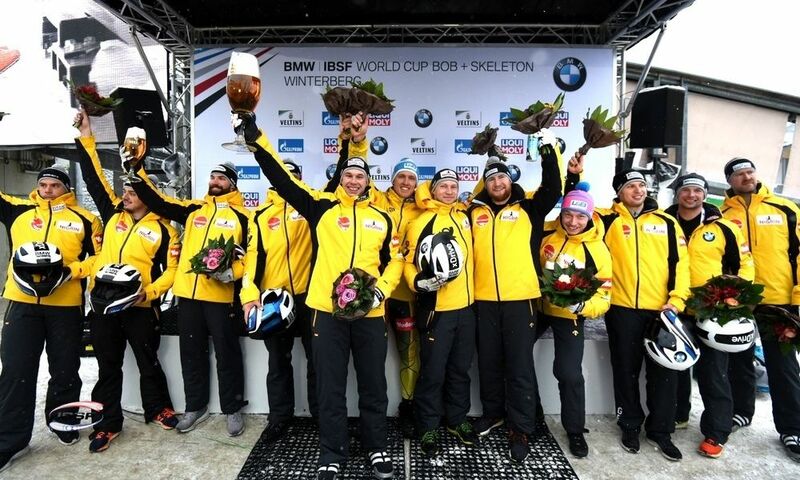 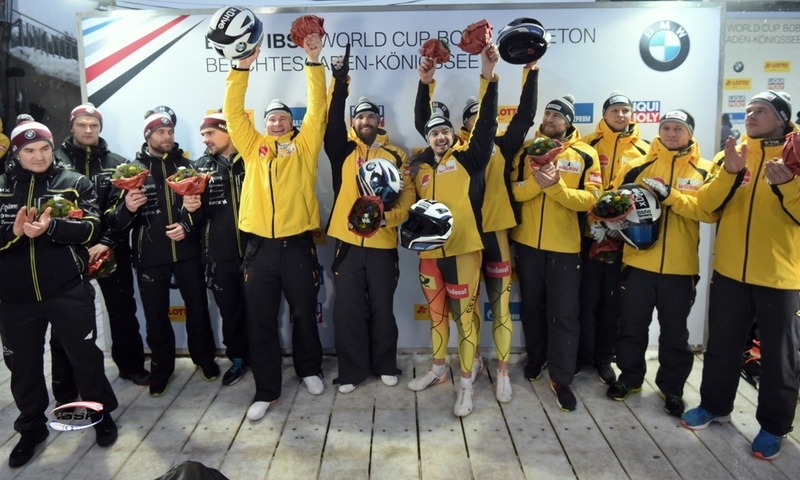 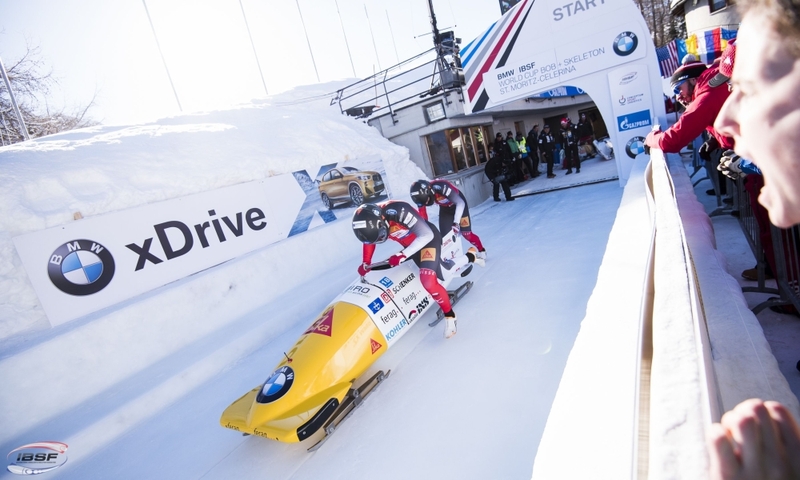 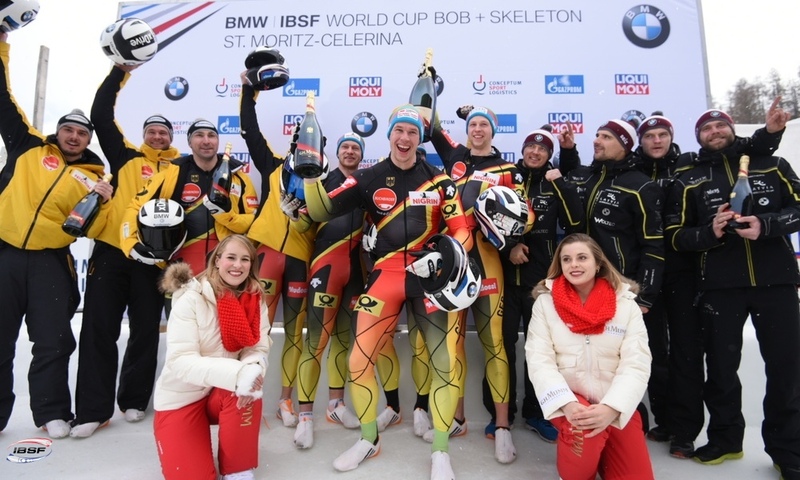 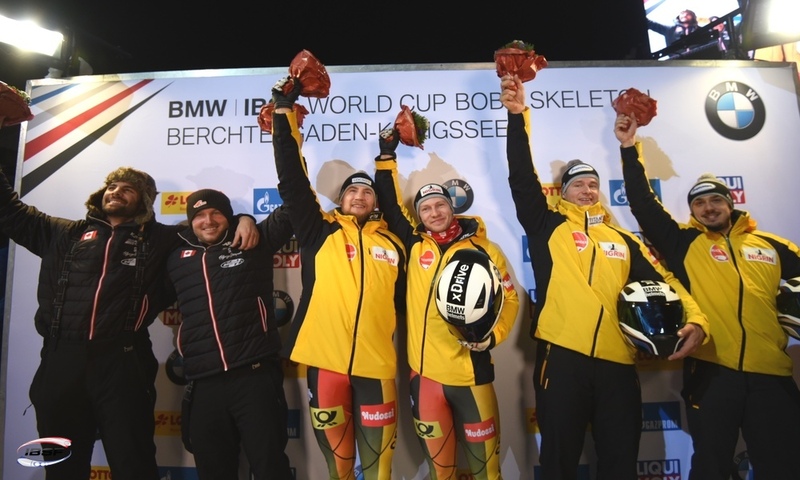 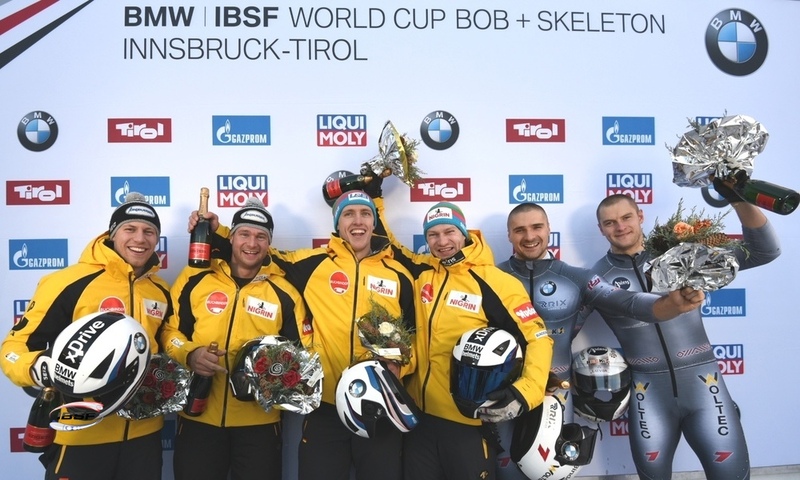 Innsbruck (RWH) Olympic Champion Francesco Friedrich from Germany has secured first place in the 4-man bobsleigh at the BMW IBSF World Cup in Innsbruck. 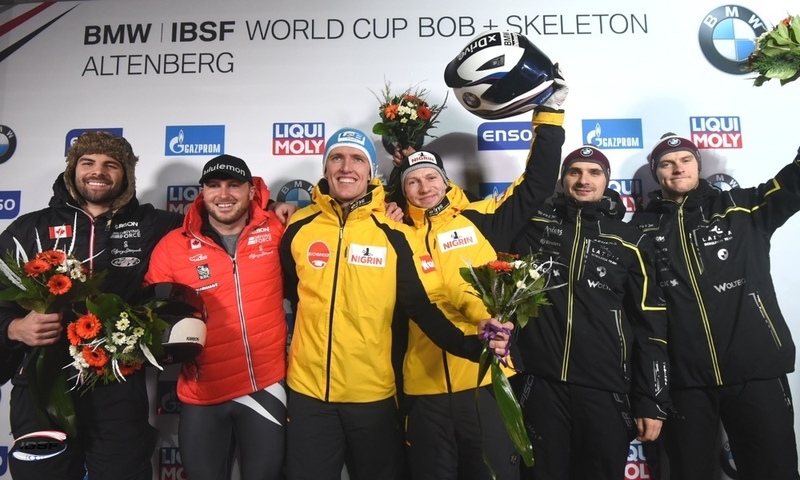 Alongside a pusher crew made up of Martin Grothkopp, Alexander Schüller and Thorsten Margis, the World Champion broke his own track record by almost two tenths of a second during his first run at the Olympic Sliding Track in Innsbruck. 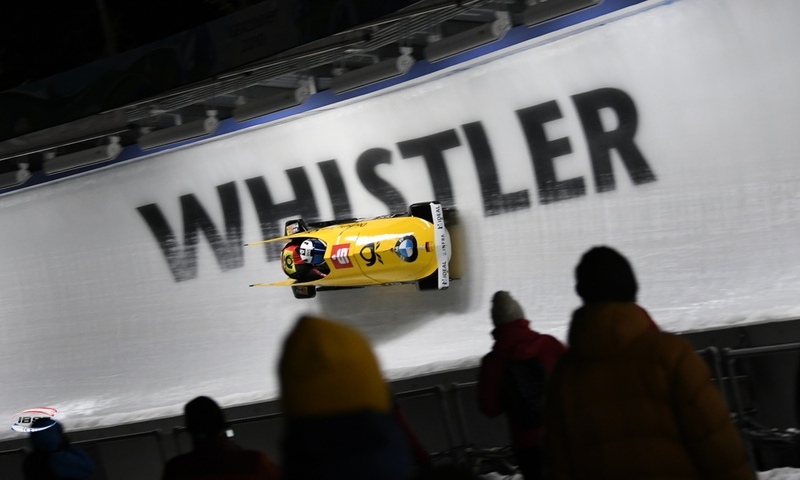 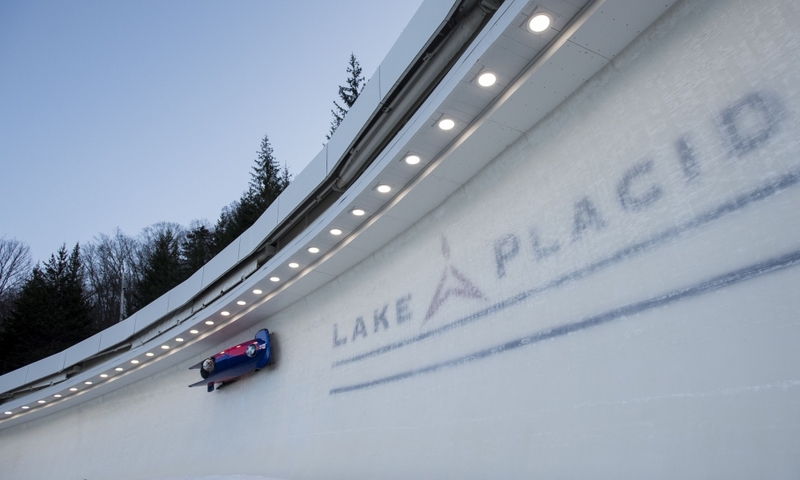 The new benchmark in 4-man bobsleigh has been set at 50.42 seconds. 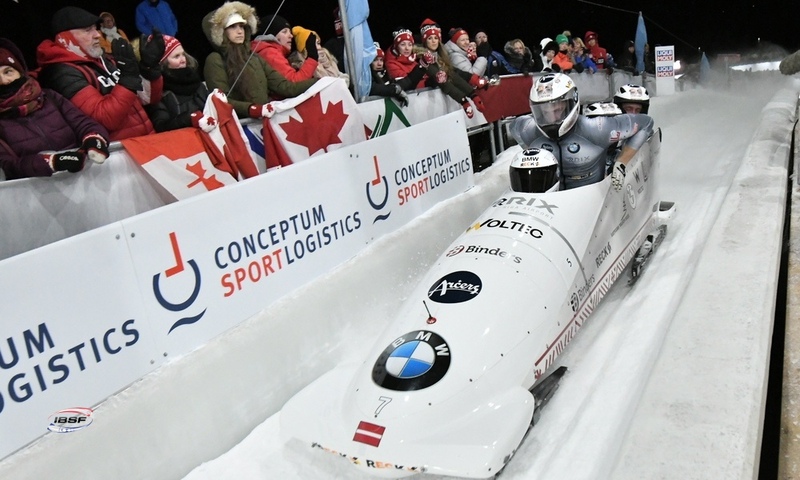 Friedrich's team enjoyed a 0.19 second lead after two runs, leaving the Latvian team of Oskars Kibermanis, Matiss Miknis, Arvis Vilkaste and Janis Strenga in second place. 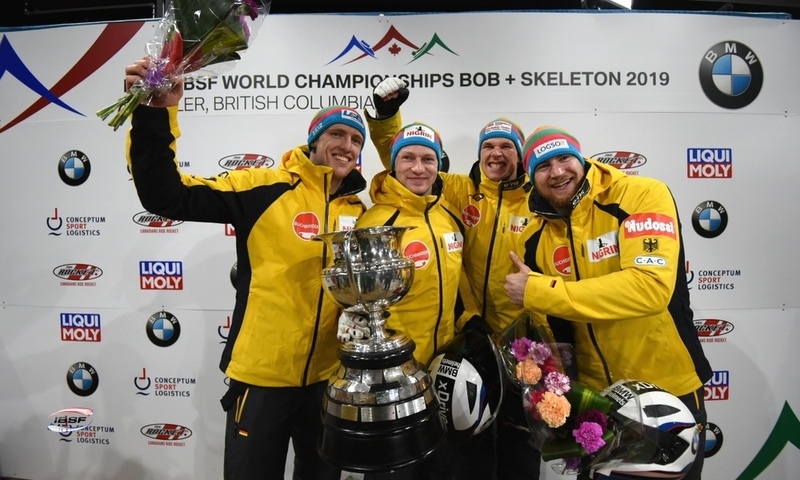 European Champion and defending World Cup Champion Johannes Lochner with teammates Florian Bauer, Marc Rademacher and Christian Rasp (GER, 0.44 seconds behind) finished the fifth World Cup of the season in third place. 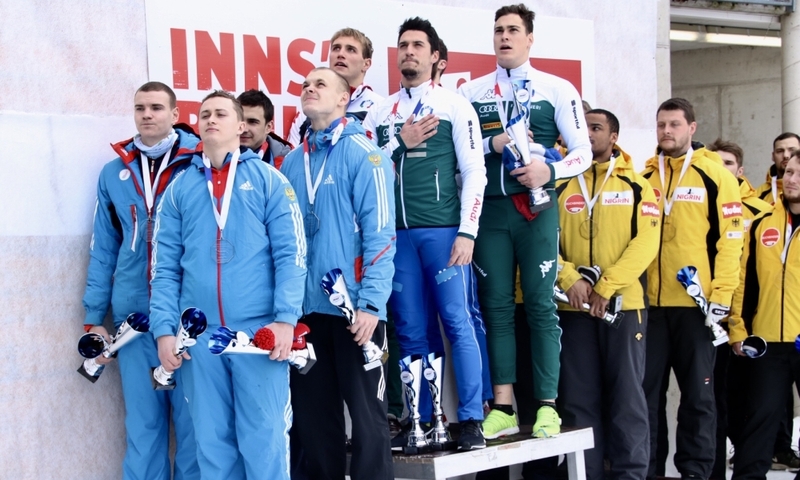 Dominik Dvorak, Dominik Suchy, Jan Sindelar and Jakub Nosek (CZE) came in fifth, giving the Czech team their best result in 4-man bobsleigh. 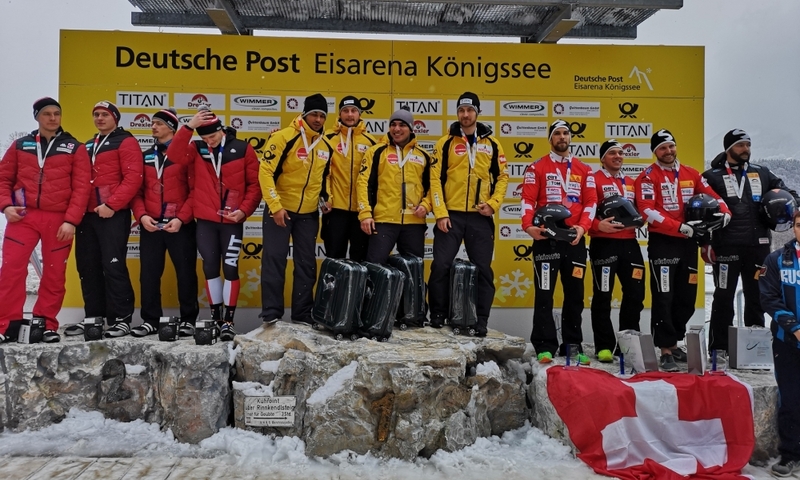 Local hero Markus Treichl from Austria and Latvia's Ralfs Berzins, 2019 European Champion in the U23 category, placed joint eighth with their teams. 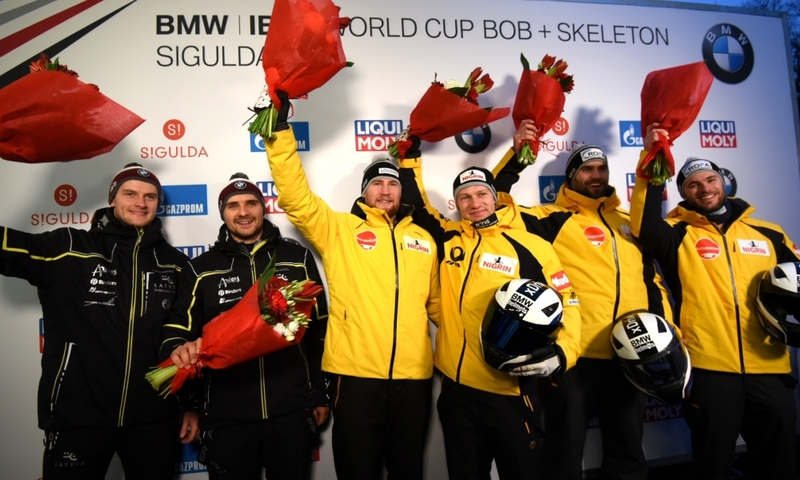 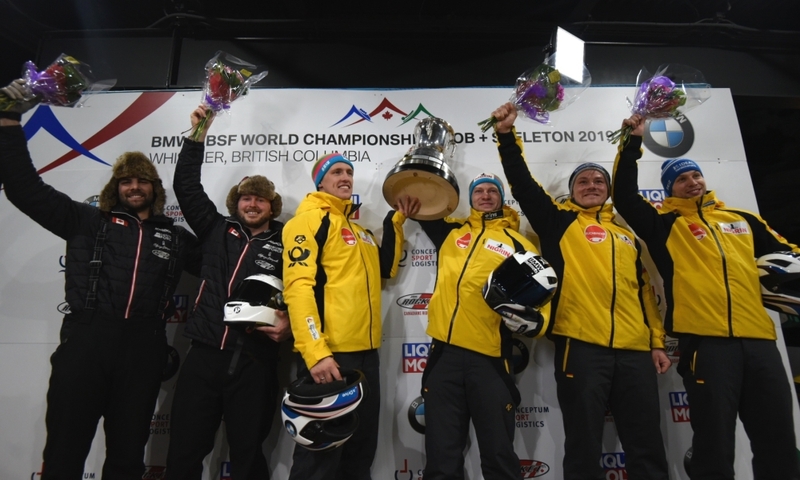 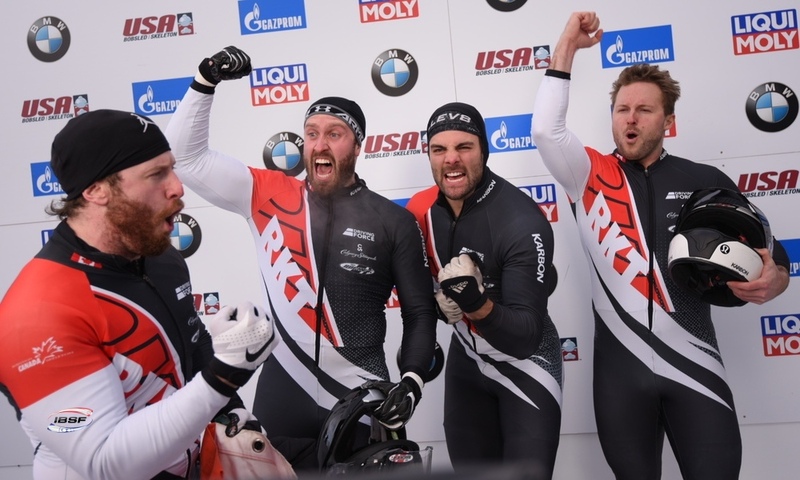 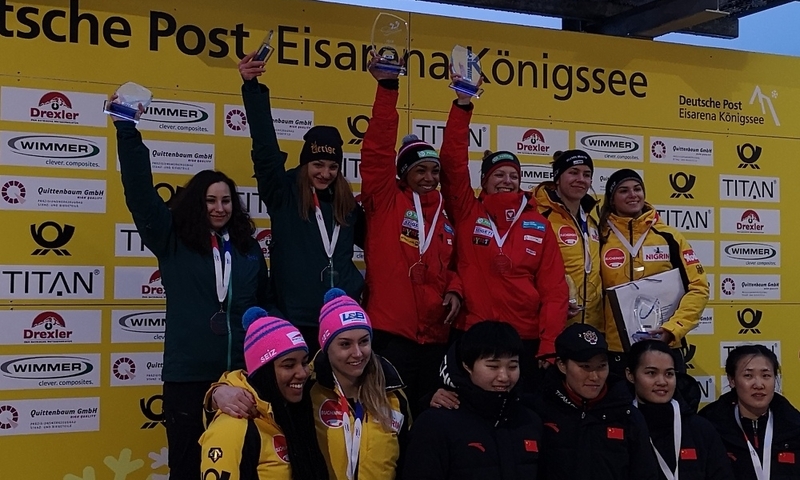 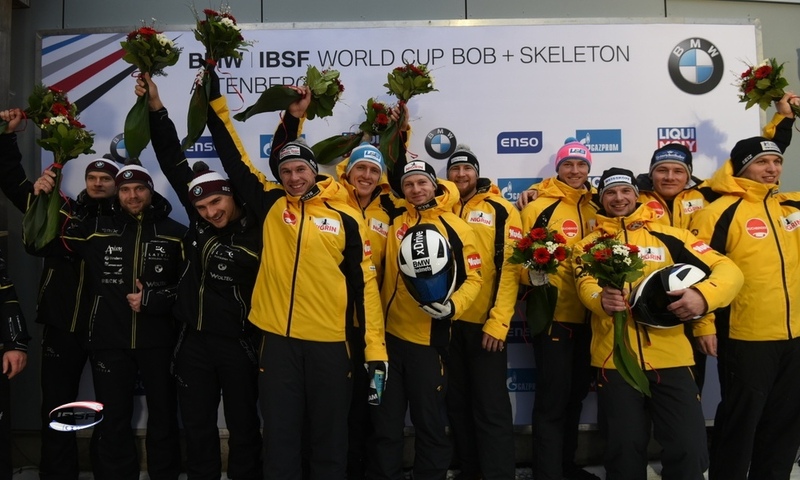 Both teams were able to celebrate their best performance to date at the BMW IBSF World Cup. 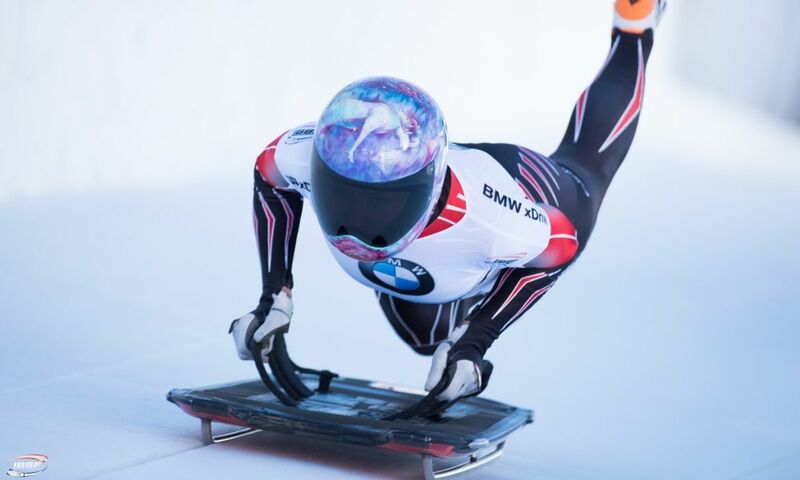 In the overall standings at the 2018/2019 BMW IBSF World Cup, Olympic Champion Francesco Friedrich (GER, 1085 points) has once again slightly extended his lead. 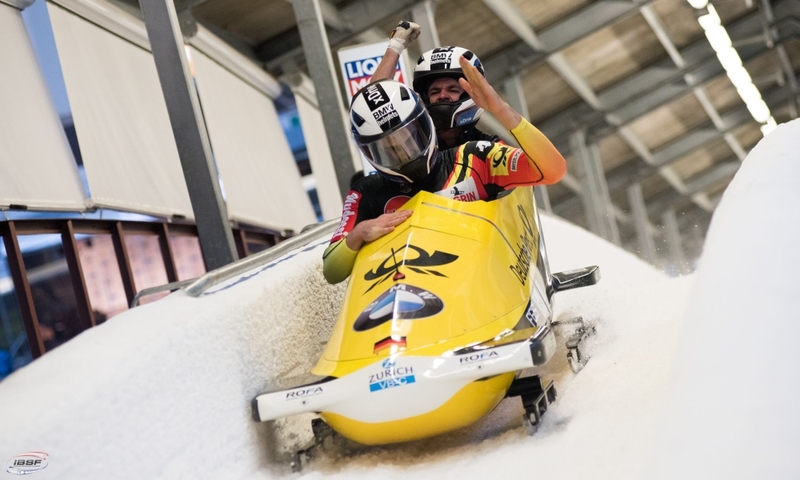 World Champion Johannes Lochner (GER, 1027) holds second place ahead of Oskars Kibermanis (LAT, 1014).